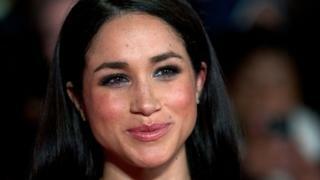 Meghan Markle made her name as an actress, campaigner and blogger before marrying Prince Harry in May 2018 and becoming the Duchess of Sussex. It was announced in October that she is pregnant, with the royal couple's baby due next spring. 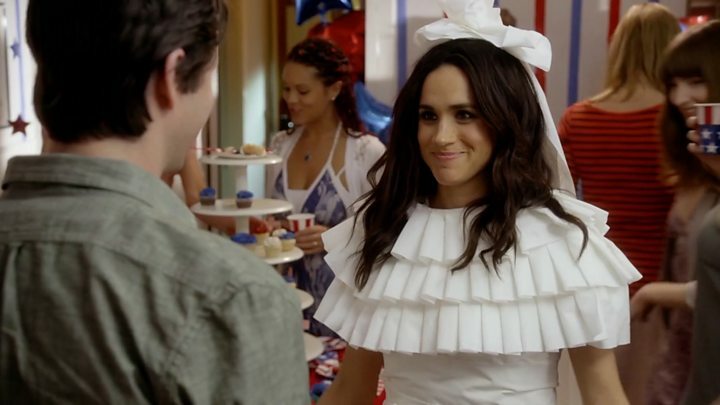 Ms Markle, who was hitherto best known for playing lawyer Rachel Zane in US TV drama Suits, was born Rachel Meghan Markle on 4 August 1981 and grew up in a prosperous part of Los Angeles. Her mother's home is in an area known as the "Black Beverly Hills", where the average price of a home is $771,000 (£587,000). Ms Markle went to a private primary school in Hollywood and started campaigning for gender equality at an early age. At 11, she wrote a letter to the then US first lady, Hillary Clinton, lamenting a washing-up liquid's TV ad strapline: "Women all over America are fighting greasy pots and pans." Within a month, manufacturers Procter and Gamble had changed the word "women" to "people". "It was at that moment that I realised the magnitude of my actions," she later said. "I had created my small level of impact by standing up for equality." At 15, she was volunteering in soup kitchens as her studies continued at a girls' Roman Catholic college, and she graduated from Northwestern University School of Communication in 2003. A stint working as an intern at the US Embassy in Argentina made her think her path might lead her into politics, but she changed course when her acting career began to take off. Between auditions, she has told of making money by doing calligraphy for wedding invitations, using skills developed in handwriting classes at school. Her father was a cinematographer on the hit 1980s show Married... With Children, and her first television appearance in the US was in an episode of the medical drama General Hospital in 2002, before moving on to roles in CSI, Without a Trace and Castle. There were bit parts in Hollywood films including Get Him to the Greek, Remember Me and Horrible Bosses, and she was a "briefcase girl" on Deal or No Deal. She also appeared in the sci-fi series Fringe, playing FBI special agent Amy Jessup, and her most famous role was Rachel Zane in legal drama Suits. Ms Markle was in the show from its launch in 2011, but was written out in the finale of the seventh series, which aired in April. Fittingly, perhaps, she left after her character got married. In real life, Ms Markle's union with Prince Harry isn't her first marriage. In September 2011, she wed film producer Trevor Engelson, but the pair divorced two years later. In September, it was reported that her ex-husband was producing a new TV show based on a man's custody battle with his ex-wife who marries into the British Royal Family. In 2014, she began writing about topics such as food, beauty, fashion and travel, as well as her own story, on her lifestyle website The Tig. Ms Markle said setting up the website was an attempt to "reframe the beauty content to include think pieces about self-empowerment" and feature dynamic, inspirational women. In one post, she explained: "I've never wanted to be a lady who lunches - I've always wanted to be a woman who works." The site also carried candid blogs she wrote on every birthday. On turning 33 in 2014, she wrote: "My 20s were brutal - a constant battle with myself, judging my weight, my style, my desire to be as cool/as hip/as smart/as 'whatever' as everyone else." Who will change - Meghan or the Royal Family? She also grew a large social network profile, with 1.9 million followers on Instagram and more than 350,000 on Twitter. But she shut The Tig last April, and deleted her social accounts this January. Her media career has gone hand-in-hand with support for causes that are close to her heart. She tackled the delicate issue of the stigma around menstrual health in an article for Time magazine in March 2017 and was a Global Ambassador for World Vision Canada, which campaigns for better education, food and healthcare for children around the world. As part of her role, the actress travelled to Rwanda for the charity's Clean Water Campaign. Ms Markle's commitment to gender equality has seen her work with the United Nations, and she received a standing ovation from an audience including UN Secretary General Ban Ki-moon for a stirring speech on International Women's Day 2015. Commenting on how she combined acting with campaigning, she said: "While my life shifts from refugee camps to red carpets, I choose them both because these worlds can, in fact, co-exist. And for me, they must." 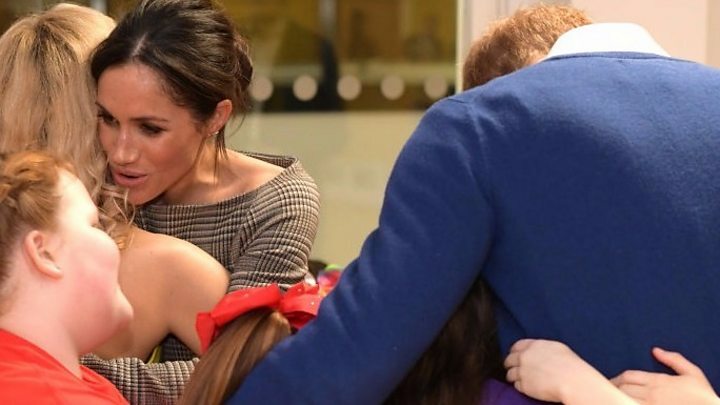 Ms Markle, whose father is white and mother is African-American, has also spoken about coming to terms with her racial identity. In an article for Elle magazine, she wrote: "While my mixed heritage may have created a grey area surrounding my self-identification, keeping me with a foot on both sides of the fence, I have come to embrace that. "To say who I am, to share where I'm from, to voice my pride in being a strong, confident mixed-race woman." Who will change first - Meghan or the Royal Family?